Not sure what kind of personalized chopsticks you'd like to order? Our Sample Pack will help you decide! 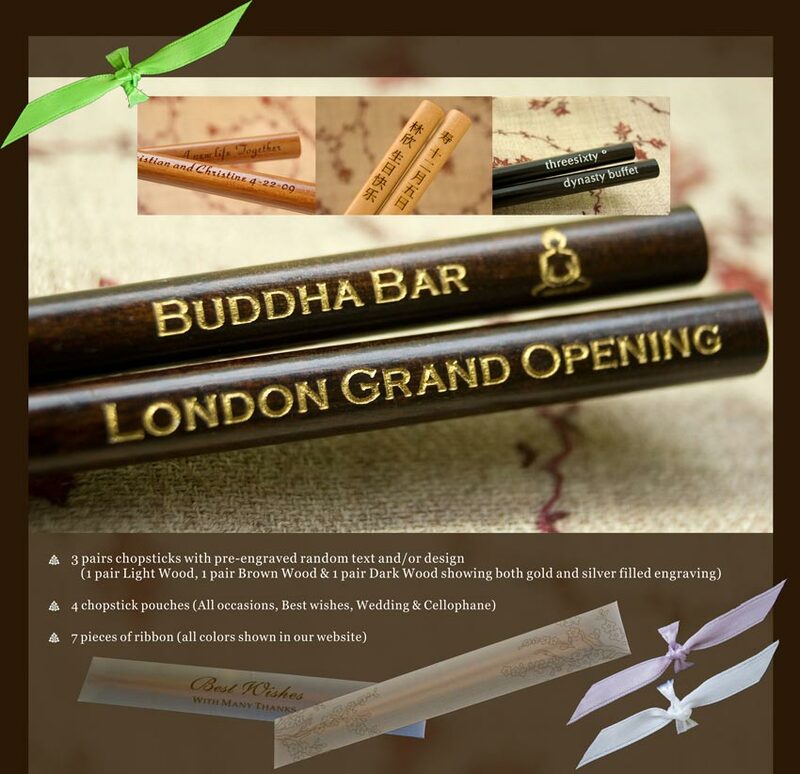 It includes three pairs of engraved chopsticks - one pair light wood, one pair brown wood and one pair dark wood - each with random pre-engraved text and design. It also includes four pouches (one "All Occasions" pouch, one "Best Wishes" pouch, one Wedding pouch and one cellophane pouch) and ribbons in seven colors (white, ivory, light pink, light blue, lavender, green and red). Purchasing this sample pack will help you personalize your chopsticks exactly to your liking. so that you have the perfect gifts or favors for your wedding or special event.